Wisconsin is a state that has a rich history heavy industry and fur trading, as well as being a leading dairy producer state. You'll find a broad range of site seeing destinations, national parks, lakes, big cities, and small towns. Also, Wisconsin ranks as the tenth state in the nation for low crime rates and corrections, and the seventeenth state for its educational opportunities. People move to Wisconsin for the job opportunities and the low unemployment rate. Additionally, the home prices average below $100,000 in many areas of the state, and this is a big draw for people who want to purchase a home and further their careers. Depending on where you choose to live, you can either have a more laidback pace, or you can live in one of the bigger cities with all of the perks that comes with it. The local region in Wisconsin is largely an outgoing, friendly demographic. The smaller towns are ideal for people who want to raise families because of their low crime rates and the good school system that is available in most areas of this state. Historically a few of the biggest reasons why people moved away are the weather and high taxes. Wisconsin ranked as the eleventh most tax-burdened state in the nation. The long, cold, snowy winters are also another reason why people leave the state. Additionally, the larger businesses that have been a part of the state like the paper mills are rotating out of existence or getting exported to neighboring states. Wisconsin, located in North Central United States, is one of the American states that boast steady home value prices. With over 5.7 million residents, the state has a wealth of amazing houses to choose from. Wisconsin has a strong and well balanced economy, not to mention, the countless amenities and tourist attractions that make it a great place to live. The real estate market is always busy here and houses sale at a decent pace as long as they are not priced over $500,000. Currently, Wisconsin's real estate market has been on a steady increase, and this has been increasing since 2013. Wisconsin's housing prices didn't hit bottom until 2011, and this is a few years behind most of the nation, who saw home prices hitting bottom around 2006 to 2008. As the end of 2016 came, the Wisconsin Realtor Association claimed the housing market was on fire, and housing prices were climbing to levels they hadn't seen since 2004. There was more demand for homes than there was supply, and this was a driving factor for the climbing real estate prices. The trend continued into 2017, and the market is still climbing. The early 1990s saw a steady climb in home prices until 1994 when there was a small spike in home prices. This small spike leveled back off until mid-2003 when the market prices began to climb at a quicker rate. These rates hit a plateau in the first quarter of 2006 that lasted until early 2007. Housing prices in Wisconsin peaked in and began a rocky descent with several surges in housing prices followed by falls. Housing prices hit their bottom in the middle of 2012, and the market didn't really begin to recover until after 2014. Once 2014 came and went, housing prices have begun another steady climb, and 2016 saw the highest housing prices since 2004. Madison, Wisconsin saw similar trends in the early 1990s until 1994 saw a sharp increase in housing prices. These prices rose at a quick rate, and then they leveled out and continued their steady climb. In 2000, residents of Madison saw another sharp rise in home prices that leveled off and continued to steadily climb until they hit their peak at the beginning of 2008. Housing prices fell slowly with gains and losses until they hit their low in 2012. It is good to note that while real estate prices did fall, they didn't plummet like in other parts of the country. Home ownership rates across the state rose from 64.2% in 1994 to 73.3% in 2004. Since then the ownership rate has slid to 67.7% in 2016. Wisconsin has over 300 cities and towns in total. The most popular cities include Milwaukee, Madison, Green Bay, Kenosha, Racine, Appleton, Waukesha, Eau Claire, Oshkosh, Janesville, West Allis, La Crosse, Sheboygan Wauwatosa and Fond du Lac. Milwaukee has a large, diverse population of 595,047 people as of the 2016 census. These numbers make it the largest city in Wisconsin, and the fifth-largest city throughout the Midwestern United States, and the 31st most populated city in the nation. Milwaukee is part of the Milwaukee Metro area, and the total population of the combined districts is 1,572,245. This city has a strong economy with a diverse company profile across the city. It is home to the international headquarters of six Fortune 500 companies, and it still has strong ties with it's past as a beer brewing town because the Miller brewing company remains a large employer. Milwaukee's companies have consistently ranked as some of the most admired in the nation, and some of the more recognizable. The legendary Harley-Davidson Motorcycle company has its headquarters here as well, and it plays a vital role in the heritage of Milwaukee. As Milwaukee is located in the Great Lakes region, residents of this city will typically experience rapid weather changes, but it is considered a humid continental climate. The summer weather is very warm and humid, with average temperatures at 71 degrees. The winters are very cold with moderate snowfall, and Milwaukee is considered to have the second-coldest average winter temperature at 22.3 degrees. Milwaukee is a hub for many diverse cultures, and there are many festivals, events, and museums to visit. 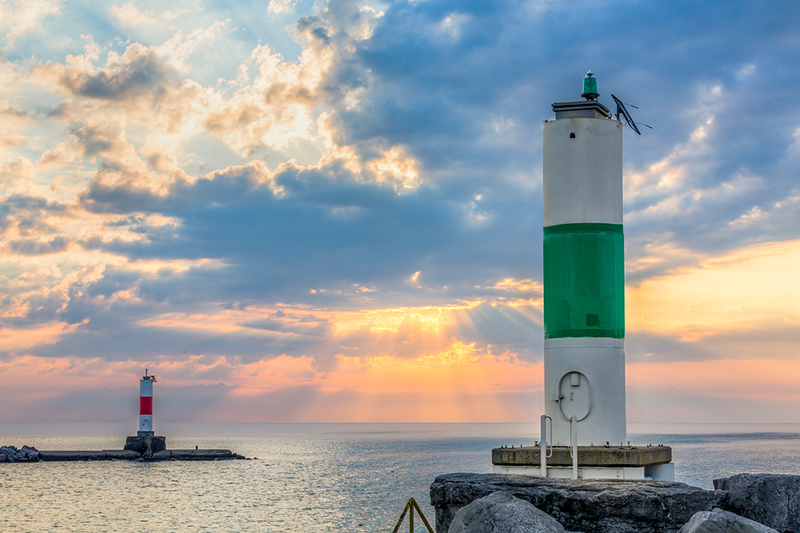 The city is a very popular spot for sailing on Lake Michigan, and there is a multitude of water recreational activities to enjoy, along with outdoor events like the World's Largest Music Festival, Summerfest. The Milwaukee Art Museum is thought to be the city's most prominent cultural attraction, and there are dozens of smaller museums you can tour as well. Baseball fans can take in a Brewers game. The Milwaukee Public School system is recognized as being the largest in Wisconsin, and the 33rd largest in the United States. This city also ranked as the sixth highest number of college students per capita, and it is home to fifteen universities and technical schools. The University of Wisconsin-Milwaukee can be found here, along with the Milwaukee School of Engineering, and Herzing University. The largest employer in the city of Milwaukee is Aurora Health Care, and there are 22,000 members on staff. The second-largest employer is also a health care system. Wheaton Franciscan Healthcare employes 12,000 Milwaukee residents. Finally, the large grocery store chain Roundy's finishes out the top three largest Milwaukee area employers with 8,400 staff. The median home price in the Milwaukee is $118,200, and the homes have a $100 price per square foot. These housing prices are lower than the greater Milwaukee Metro area, as their median home prices start at $215,800, and the price per square foot is $132. 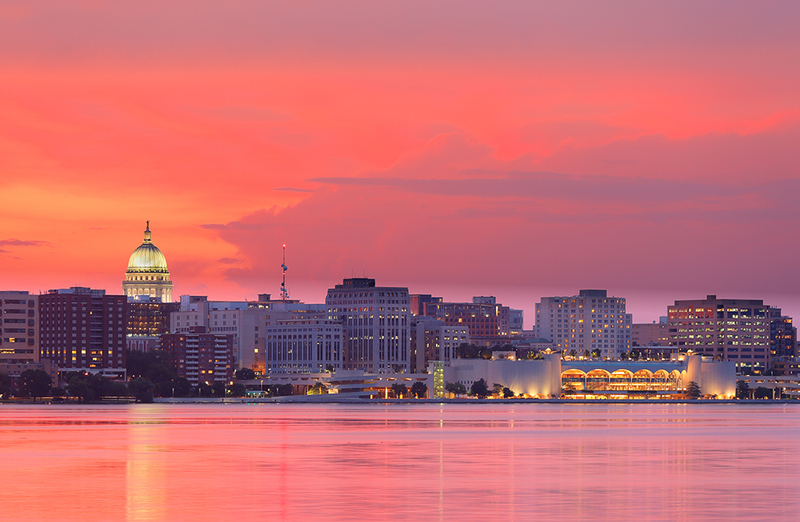 Wisconsin's state capital and the second-largest city is Madison with a population of 252,551 people. This population count makes Madison the 82nd largest city in the United States, and it is the county seat of Dane County and a part of the Madison Metropolitan area. When you combine the population of Madison and the Madison Metro, you get a total population of 568,593 people. Aside from being the state's capital, it also has a very large college-aged population. The local economy relies heavily on the education institution along with the health, biotech, and advertising sectors of business. 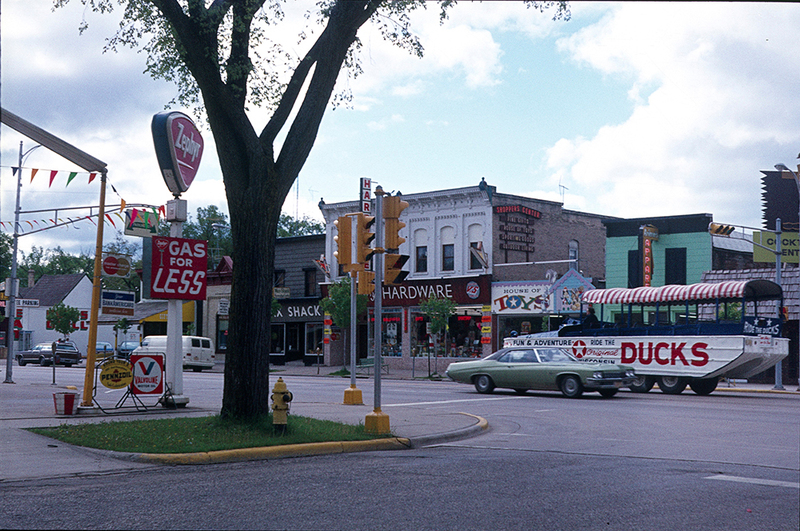 The local economy experienced a boom in the early 1990s that helped Madison absorb some of the recession's damage. Many people come here to attend the colleges and stay because of the thriving economy and the variety of good paying jobs available to graduates. Madison's climate has warm summers with high humidity, and the winters have periods of frigid temperatures and moderate to heavy snowfall amounts. Each season fluctuates because of the climate type, so some winters are warmer than others, and some summers are cooler. The average highs during the summer months are in the mid-80s, and the average lows during the winter months are in the mid-20s to low 30s. If you walk down State Street, you'll find dozens of cafes, restaurants, and small shops lining this stretch of town between the college and the capitol building. You'll find a vibrant music scene throughout this city, and the historic Barrymore Theatre is one of the must-visit places in Madison with its music and live performances. Also, there are several festivals at varying times throughout the year including the Madison World Music Festival. This city has been ranked second in the nation for educational institutions. The Madison Metropolitan School District has over 25,000 students enrolled in K-12, and it is a system of 46 schools. The University of Wisconsin-Madison is a large public university with over 41,000 students enrolled, and there are several satellite colleges to choose from as well. The median house price for this city is higher compared to many places in the state at $212,500, and the average price per square foot is $180. These prices reflect an 8.0% increase in the past year, with a 3.4% projected increase still to come in the future. The Madison Metro area has a median home price of $235,300 and a $173 price per square foot. Madison, besides having a stable economy and all the conveniences of a city, is also a very safe place for your family, with really low crime rates and has been acknowledged as the safest city a couple of times. The third-largest city in the state of Wisconsin is Green Bay with 105,139 residents as of 2016. Additionally, Green Bay is the third-largest city along the western shore of Lake Michigan. Historically, Green Bay is linked to the paper industry, and today this industry is still going strong. This city's economy is strong, and it is known as Toilet Paper Capital of the World, for the Quilted Northern toilet paper company headquartered here. Insurance companies and the Oneida Nation are all major components to sustaining Green Bay's economy. People move here for the diverse job opportunities and the possibility of career advancement. Although the city has a humid continental climate, it is tempered by Green Bay's proximity to Lake Michigan and the lake effect. There are four distinct seasons, and each season typically experiences wide temperature variations. The summers are hot and humid with the average temperatures rising to the mid-80s. The winters in this city typically have more moderate snowfall amounts, and their temperatures fall around the low 20s. Green Bay features many performance venues and live music events are common throughout the year. The Hazelwood Historic House Museum is the only historic house that is open to public tours. Lambeau Field is home to the Packers NFL football team, and thousands of people come to watch the Green Bay Packers play in turn, this tourism supports the local businesses. ArtStreet takes place every summer in downtown Green Bay, and it features dance, music, art venues, and live performances. There are several colleges and universities located in Green Bay including the University of Wisconsin-Green Bay. There are over 6,600 full-time students enrolled in a variety of undergraduate degrees, and the university offers both Bachelor's Degrees and Master's Degrees. Another more well-known technical college you can attend in this city is the Northeast Wisconsin Technical College. The largest employer in the city of Green Bay is the medical insurance company Humana with 3,167 employees. The Oneida Nation of Wisconsin is the second-largest employer, and there the Oneida Nation employs 2,690 people. The third-largest employer is the large transportation company Schneider International with 2,580 staff members. If you're planning to move to Green Bay, you can expect to pay on average, $126,500, and this works out to around $96 per square foot. Housing prices have risen 7.2% during the last year, and they're predicted to rise an additional 3.8% in the coming year. The Green Bay Metro area has a median home price of $163,700, and that is around $108 per square foot. The fourth-largest city in Wisconsin is the city of Kenosha with a population of 99,631 people. Although this city was once a busy hub for the manufacturing business, today it is known as a bedroom community. This means that the majority of the people who live in this city commute to different areas to work. However, there are a few smaller industrial companies located here including Snap-On Tools. The tourism industry plays a vital role in sustaining Kenosha's economy, and people come to see the Dinosaur Discovery Museum and the Jelly Belly Visitor Center. Kenosha is home to the University of Wisconsin-Parkside, and Carthage College. Together, they have over 6,000 students enrolled. The median home prices in Kenosha are $141,400, and this is a price increase of 3.9%. Additionally, the price per square foot is $127. 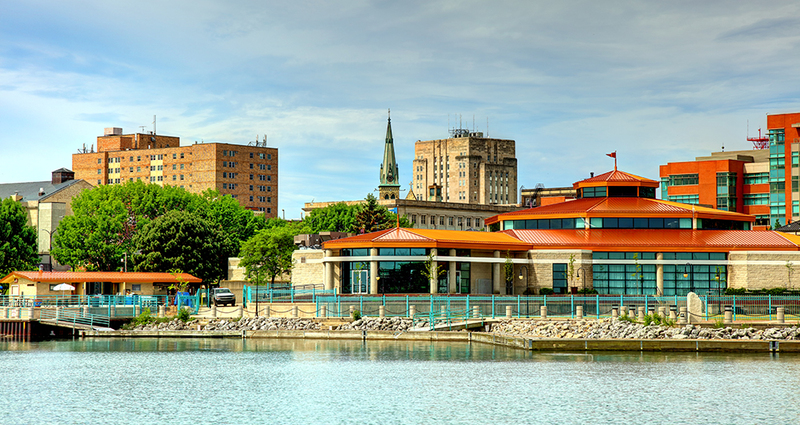 The city of Appleton has a population of 74,370 people. It is part of the Appleton Metro, and when you combine the populations, it adds up to 367,516 people. This city largely revolves around the healthcare and education industries. 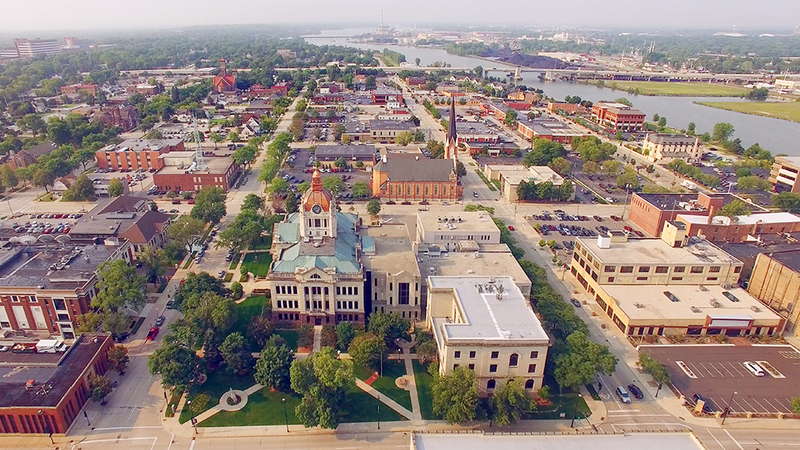 This smaller city is the perfect example of the areas that make up a large portion of Wisconsin. The largest employer is Affinity Health, and this health system employs over 5,700 staff members on a full and part-time basis. The second biggest employer in Appleton is Thrivent Financial with 1,800 employees. As well as the excellent employment opportunities, there are several secondary education institutions here as well. They include Lawrence University and the Fox Valley Technical College. 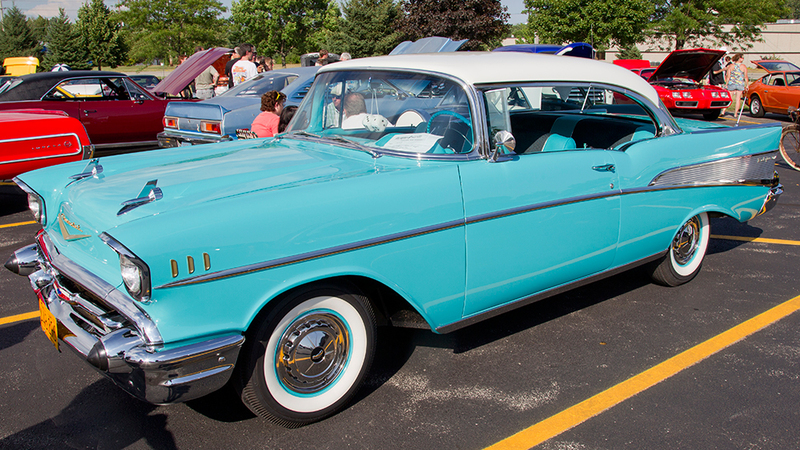 Each July the city hosts an old car show & swap meet which is open to cars at least 30 years old. The median home prices in this city are $137,900, and this works out to a price per square foot of $99. The median home prices have risen by 8.6% in the past year, and they're on track to keep rising an additional 4.1% in the upcoming year. The Appleton Metro area has a median housing price of $160,400, and the price per square foot is $104. The city of Waukesha is a smaller Wisconsin town that is located just 20 miles from Milwaukee and 59 miles from Madison. As of 2016, Waukesha had a population of 72,363 people. You'll experience a humid continental climate in this city with hot summers and snowy, cold winters. The city's economy revolves around healthcare and education, with the largest employer being GE Healthcare. They currently have 3,700 members on their staff, and this is followed closely by the Waukesha Memorial Hospital with 2,126 employees. The University of Wisconsin-Waukesha is located in the downtown center, and it offers a two-year Associates degree program. Additionally, students can attend Carroll University for a variety of courses. In Waukesha, the median home prices are $192,200, with a price of $136 per square foot. These prices have increased over the past year by 4.1%, and they're expected to keep increasing another 3.2% over the next year. The Waukesha County area has a median home price of $274,600, and the price per square foot is $163. Racine, Wisconsin is a city that sits along the shores of Lake Michigan at the mouth of the Fox River. As of 2014, it had a population of 77,571, and it was nominated as one of the most affordable cities in the state of Wisconsin to purchase a home in 2017. Racine has a long history in the industrial sector, and several companies are still located here. S.C. Johnson and Son has had their headquarters here since 1936, and the Dremel Corporation is also based here. This city is home to several museums, performing arts venues, theatre companies, and dance groups that draw tourists through the city each year. The Racine Heritage Museum and the Racine Symphony Orchestra put on several tours and shows each year. The median house price in Racine is $110,900, with the price per square foot around $103. This price is an increase of 22.7% in the past year alone, and the median housing price is predicted to rise again this year by an additional 8.1%. The city of Oshkosh is located at the mouth of the Fox River, and it has the nickname of the Sawdust City. As of 2016, the population was 66,579, and it is continuing to grow each year. The city's hottest months are June through August, and the temperature typically hovers around the mid-80s. The coldest months are December through January, with the temperature staying in the high teens and low 20s. The Oshkosh Corporation has its headquarters in this city, and it is a large transportation and trucking company. Additionally, OshKosh B'Gosh was founded here, and it manufactures coveralls for adults and children. The third-largest university in the state of Wisconsin is located in Oshkosh, and the University of Wisconsin-Oshkosh has over 14,000 students, and it employs over 1,700 people. Since 2006, Oshkosh has seen several revivals in the cultural event sector including the Leach Amphitheater, and the Grand Opera House opening their doors for live music and events. 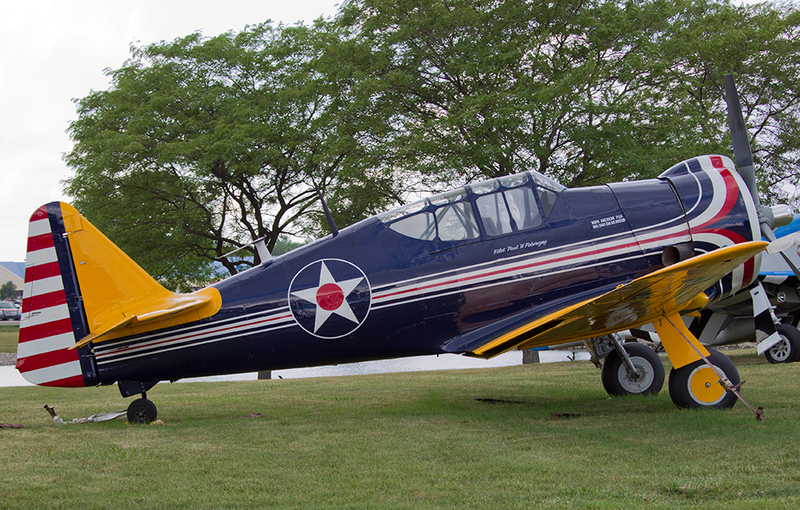 The Experimental Aircraft Association is based in the city & has a large museum where visitors can view the history of aviation. Oshkosh has a median housing price of $114,900, and this is an increase of 4.4% over the past year. The price per square foot is around $103, and both the median housing prices and the price per square foot are projected to increase over the next year at a rate of 4.0%. Eau Claire is a city with a population of 68,339 people, and it is part of the larger Eau Claire-Menomonie Combined Statistical System. Their combined population is over 210,000 people. You can find this city approximately 90 miles from the Twin Cities, and it is a hub for the technology industry. There are several national and regional companies based here including Menards and Midwest Manufacturing. These companies make up a large part of the economy, along with the Mayo Clinic Health Care System. There are two public and two private colleges located in the city. The University of Wisconsin-Eau Claire and the Chippewa Valley Technical College have over 21,000 combined students enrolled on a full or part-time basis. 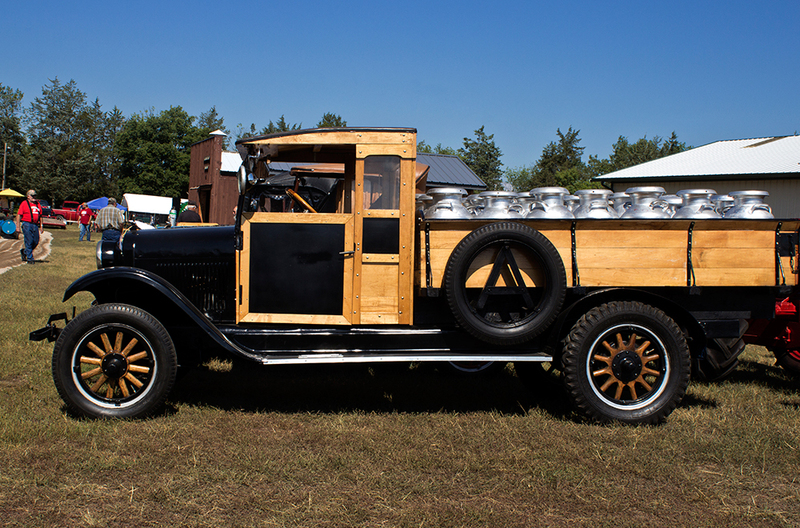 Since 1963 Pioneer Days has held an antique equipment and entertainment show. It now features a tractor pull and a swap meet. The median home price in Eau Claire is around $139,900, and the price per square foot is $118. The prices have increased 9.6% over the past year, and they're projected to increase another 2.5% in the coming year. The Eau Claire metro has a median home price of $182,000 with a price per square foot of $118. In addition some of the larger cities have desirable suburbs. The city of Franklin is considered a great suburb of Milwaukee. The main reason for the popularity of Milwaukee is the availability of all the uptown amenities, yet maintaining the suburban, small town look and feel. The city of Franklin has many companies which offer appreciable pay and other employee benefits operating in the Milwaukee area. Franklin, despite being a fast-growing, bustling city, is a great place for families with best schooling systems and affordable house rates. The city is also very safe and has extremely low crime rates and boasts to have the most efficient police force. Wisconsin has many popular cities with attractions and different cultural experiences in each one. Also, you'll find that there are recreational activities to do or see year-round, no matter which town you choose to live in. 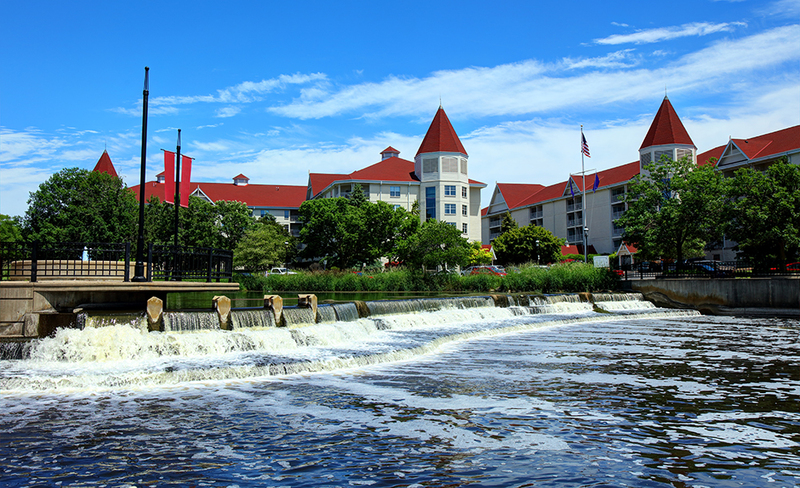 Even some of the smallest cities in the state - like the waterpark city of Wisconsin Dells - host many desirable attractions. Hales Corners, Wisconsin is yet another city, perfectly suitable for families to move into. With ample job opportunities in the surrounding area, Hales Corner is just as good as Franklin though by size it is quite smaller. The small town is known for the high affordability of houses and friendly neighborhood. The city of Neenah has an average household income amounts to $81,880. About one-third of the population in Neenah is employed in the Industrial manufacturing sector. Paper and plastic industry, printing, food production, machinery, transportation and security are the major industries contributing to the rapid development of the city. These are just few of the great places of Wisconsin. There are many other cities of Wisconsin that are equally good and reliable for a family to live in. According to the United States Census an estimated 5,778,708 people live in the state of Wisconsin. The state has 54,157.8 mi² of land area, which gave it a population density of 106.7 per mi². Here is a list of cities, towns, villages & Census Designated Places across the state with a population above 2,500, along with their estimated population as of June 2016 & the 2010 United States Census. For areas with fewer than 5,000 residents & Census Designated Places (CDP) where there was no population estimate available for 2016, the 2011-2015 American Community Survey 5-Year Estimates data was used. As of 2019 the conforming loan limit across the United States is set to $484,350, with a ceiling of 150% that amount in areas where median home values are higher. High local affordability makes the $484,350 ceiling apply statewide for single unit homes. Dual unit homes have a limit of $620,200, triple unit homes have a limit of $749,650 & quadruple unit homes have a limit of $931,600. Residents looking to purchase preium properties in Madison may exceed these limits, requiting a jumbo mortgage. Jumbo loans typically have a slightly higher rate of interest than conforming mortgages, though spreads vary based on credit market conditions. Several different types of home loans are available in the Badger State. Fixed-rate loans are very common, and the terms include thirty, twenty, fifteen, and ten years. The longer the life of the mortgage, the lower the monthly payment will be, which is why the 30-year loan is the most popular. The downside of this, however, is that the APR is higher compared to shorter-term loans. The difference can be as large as a full percentage point. A few lenders in the Badger State offer interest-only loans, but usually only for periods of three years. These are mortgages where payments are applied only to interest for a period of time. The loan's principal isn't paid down, so the monthly payments are very low. The low monthly payments only lasts a few years, however. Typically, it's about three years. After this period, monthly payments spike because the loan's principal hasn't been reduced & the remainder of the loan must be paid off in a compressed period of time. For example, on a 3 year IO 30-year loan, the first 3 years are interest only payments, then the loan principal must be paid in full in the subsequent 27 years. When qualifying for a loan, a credit score of 720 or better can help secure a favorable loan. Some mortgage lenders in strong markets like Madison have approved borrowers with credit scores around 640. The best rates and deals will be obtained with a score above 740. There is a lot of competition among lenders, and this environment can create nice perks for borrowers. For example, some banks will offer special deals on closing costs for borrowers who qualify. The cost might be added to the mortgage or the bank will pay the closing costs but add a few basis points to the APR. If you're looking to purchase a home in Southern Wisconsin, the Realtors Association of Southern Wisconsin can help with this program. You'll fill out an application and provide all of the required documentation. If you're approved, you'll be given a very low-interest loan to help cover the costs of your down payment and any closing costs. This program is capped at $4,000, and you have to meet income eligibility requirements to qualify. Be sure to research local city-level programs. For instance, the City of Milwaukee offers a forgivable loan of up to $20,000 for rehabilitation of city-owned homes. Homeowner's insurance policies typically do not cover flooding. Most of the state of Wisconsin is considered to have a very low flooding risk. Counties with relatively elevated risks are listed below. The southern half of the state is considered to have a moderate to high tornado risk. A basic homeowners policy should cover financial damages from tornadoes. State and local property tax rates averaged about 1.61% across the state in 2016 for an assessment of $3,196. This compares against a national average of 1.24%. The average assessment in Madison was $4,871. Wisconsin's income taxes have fallen below the national average as of 2014. The state and local income tax rate are at 10.6%, and this is the lowest they've been in decades. Previously, Wisconsin ranked as one of the top ten worst states in the nation for tax levels, so this is a huge improvement. Wisconsin is one of nine states that has a community property law. The goal of this law is to divide all of the assets and debts as evenly as possible between the parties, so each one leaves the marriage with close to the same amount of gains and losses. Any property or income that is bought or earned during the marriage doesn't belong to the couple, but to the marriage itself. Also, any property that is used to benefit the marriage becomes community property, even if one party had the property before they were married. If you want something to be considered a separate asset or property, it has to be kept totally to one party and not used to benefit the marriage in any way for the duration of the marriage. This includes inheritances, vehicles, and any property or assets. As for debts, they are divided equally among the parties, and it doesn't matter which spouse had the original debt. For example, if your spouse opened a credit card and ran up a $20,000 bill, you would most likely have to pay half of it. Lenders in Wisconsin either use mortgage or a deed of trust. Wisconsin is a non-recourse state, however the lender is allowed to sue the homeowner in certain deficiency cases. This means if you lose the home to foreclosure and it sells at a sale for less than was owed, the lender is allowed to go after the defaulted homeowner for the remaining balance. When it comes to foreclosures, Wisconsin is a judicial state and foreclosures go through the court systems. This lengthens the foreclosure process to around a year. The steps and a general timeline for a judicial foreclosure in Wisconsin are listed below. Your foreclosure starts when you begin having trouble making your mortgage payments. Most lenders give you 15 days past the due date to make your payment, and on day 16 they issue a late fee. A lender can't start foreclosure proceedings until you are 120 days late on your mortgage payments, and this 120 grace period is designed to give a homeowner time to see what options they have to catch up. The lender has to go through the court system for a foreclosure, so after 120 days they'll issue a summons and complaint to the court or a lis pendens. A lis pendens is filed with the county's Recorder of Deeds, and this paper describes the foreclosure action and identifies the property in question. As soon as you receive the summons and formal complaint, you have exactly 20 days to file your answer. You address any problems and dispute it if you believe the summons is in error. Additionally, this is the time to bring up any defenses against your mortgage lender. The next step is foreclosure mediation, and this is where the lender may offer a loan mediation, repayment options, a short sale, or a forbearance. The homeowner has a right to pay all of the costs to catch the mortgage up and pay any court costs at this time. Twenty days after the lender files their lis pendens, they can ask for a judgment for foreclosure, and there are three ways they can ask for this judgment. Default Judgment. If the homeowner doesn't file an answer to the original foreclosure complaint within 20 days, the lender will request a default judgment. Summary Judgment. The homeowner files an answer to the complaint, but the judge finds enough reasons for the foreclosure to move forward. Judgment After Trial. If the foreclosure goes to trial and the lender wins the case, they'll get a judgment in their favor. Once the lender wins the judgment, the next step is the Sheriff's Sale. They have to publish a notice of the foreclosure and the sale date three weeks prior to the actual sale. If the property is abandoned, they can do this immediately. If the property isn't abandoned and the lender waives any deficiency, there is a four-month waiting period. Finally, if the property isn't abandoned and the lender does seek a deficiency, there is a ten-month waiting period. As soon as the sale goes through, the court will check everything for a Confirmation of Sale. They're making sure that there was no misconduct during the foreclosure process. The final step is eviction and if the homeowner hasn't vacated the property by that time the sheriff's department will give a notice. This notice usually gives the parties occupying the home ten days to leave. Check out the following resources to learn more about the Wisconsin real estate market.